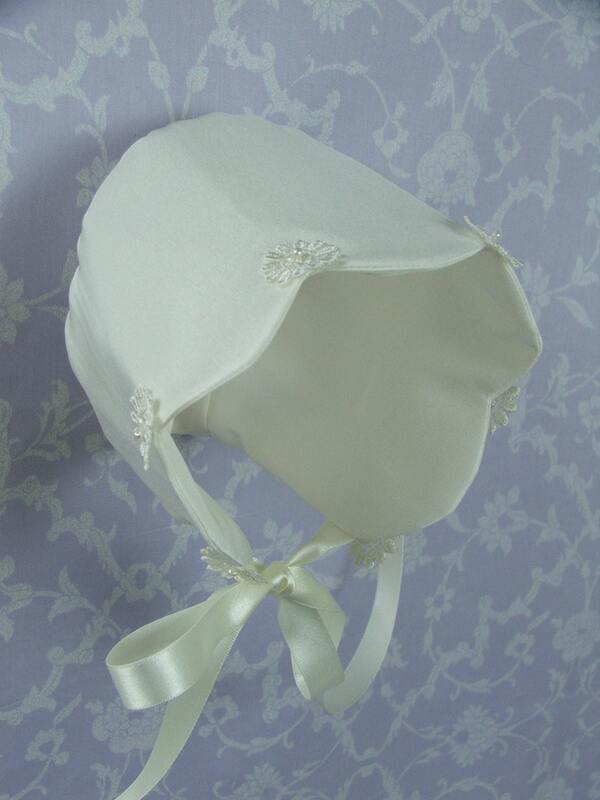 This pretty bonnet is truly delightful. 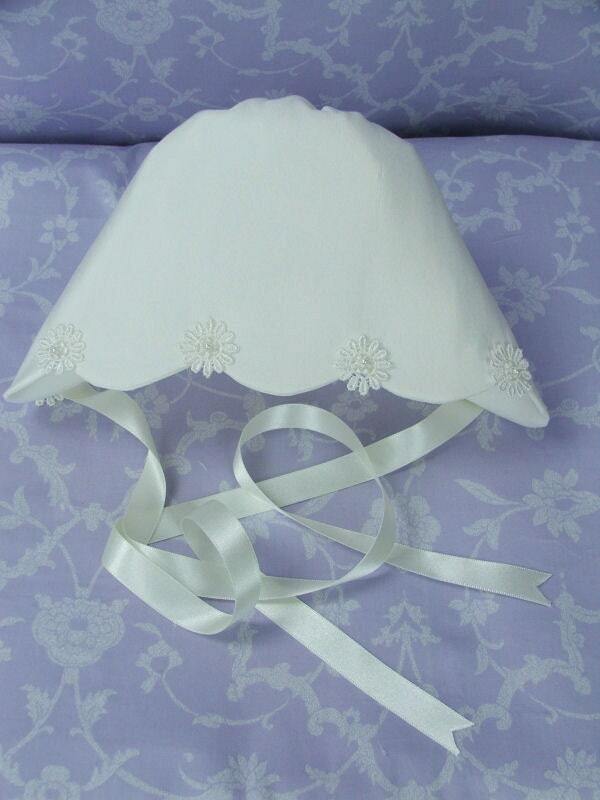 We offer two scalloped bonnets with this one trimmed to match the Daisy Gown but will blend with any of the gowns. The front edge of the bonnet is cut and styled into a scalloped edge making the bonnet very special. Between each scallop there is a Guipure Daisy with a tiny pearl bead at it’s centre. 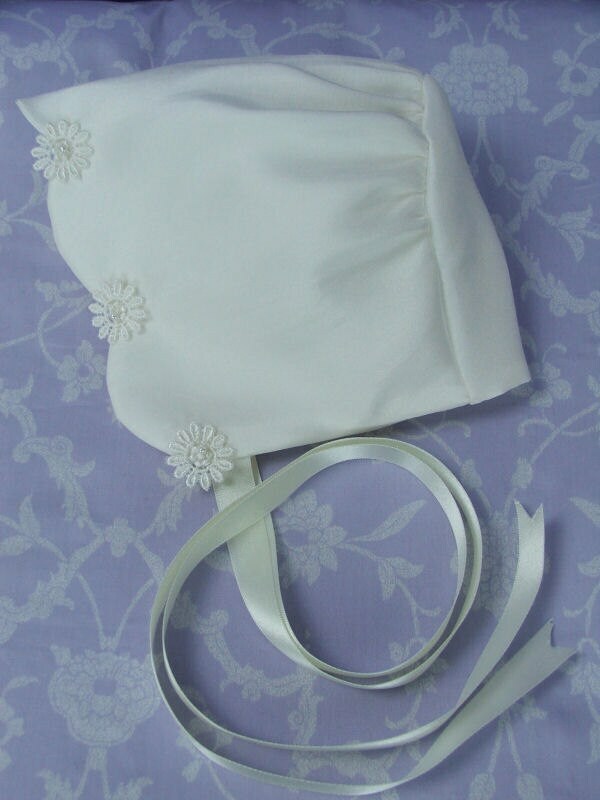 Silk that matches our gowns and fully lined with Satin ribbons for tying the bonnet. Measure around the head just above your babies ears. Consider growing time until the Christening.